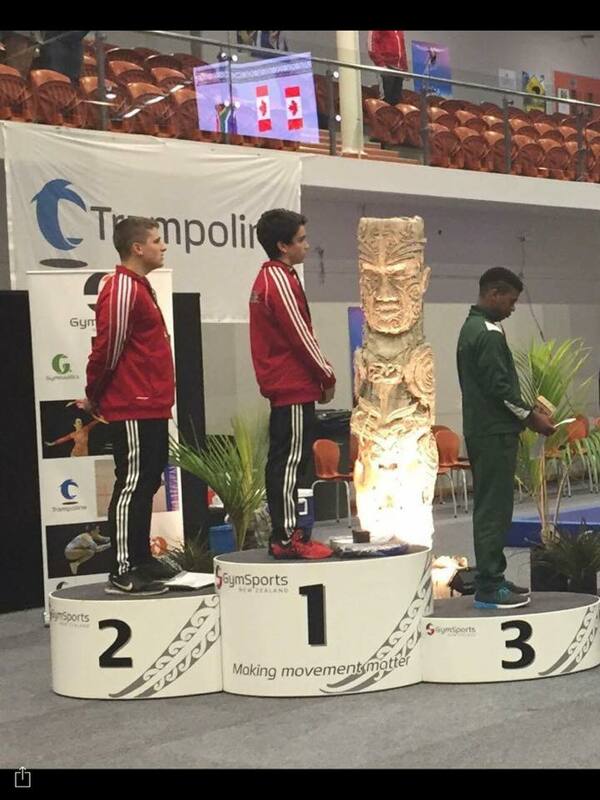 Napier, New Zealand – Local gymnast, Kai Dwyer (Fall River, NS) placed 2nd in Double Mini Trampoline at the Indo Pacific Trampoline and Tumbling Championships on Sunday. Kai had a total of 132.900 points finishing behind Canadian teammate Adin Brenner who scored 134.600. Kai also placed 6th in Trampoline with a score of 133.955 points. Kai is part of a 24 member Canadian team that is competing in the Indo Pacific Championships that started on October 21st in New Zealand. He trains out of Titans Gymnastics and Trampoline Club in Dartmouth under coach, Dann McEntee.